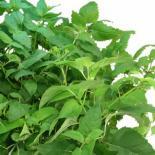 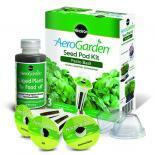 Plant and grow your OWN seeds in your AeroGarden! 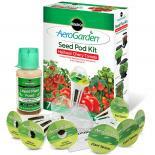 Grow Anything Kits allow you to plant and grow your own choice of favorite seeds in the AeroGarden. Whether you like to grow snap peas, cucumbers, or wildflowers, you can do it with the Grow Anything Kit. 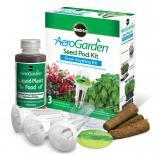 Either grow your plants to maturity and harvest right from your AeroGarden or easily transplant seedlings and plants outdoors when the temperatures are ideal – perfect for root cuttings as well. 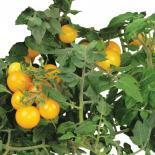 With the Grow Anything Kit, you can plant and grow all year round, no matter the season. 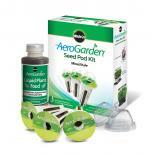 Your seeds will grow in water, light, and air with the optimal conditions of the AeroGarden. 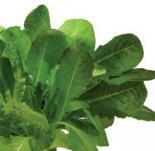 Biodegradable Grow Sponges provide the ideal balance of oxygen and water for reliable germination. 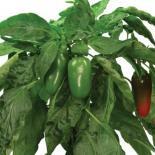 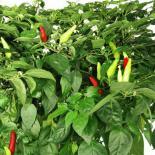 Indoor gardening can’t get any simpler!